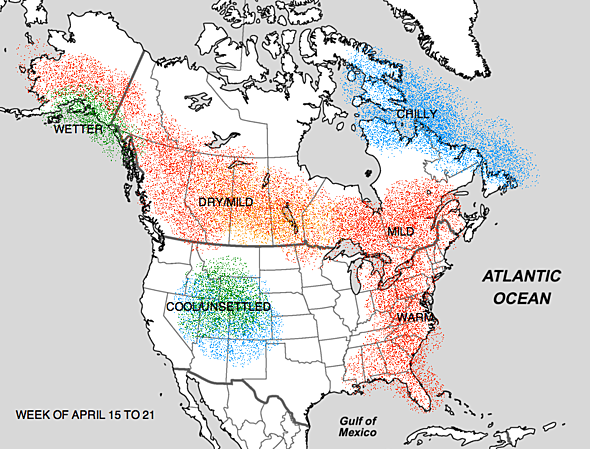 Chilly pattern for the eastern half of the country for the first week of April due to a persistent northwesterly, but not terribly cold, flow. 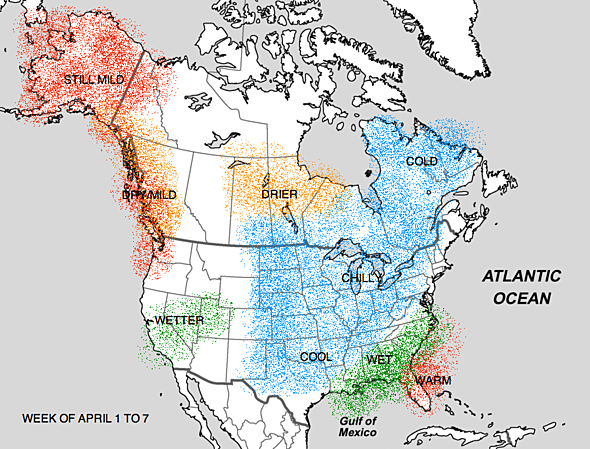 Also keep in mind that the normal temperatures will be steadily rising during April. 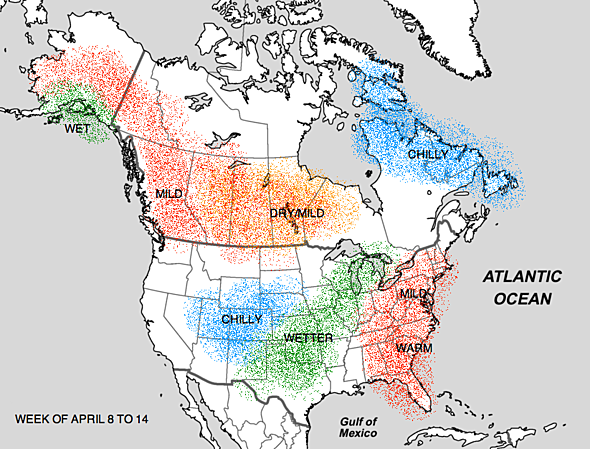 Overall pattern appears to support more widespread mild conditions for much of Canada by the second week of April as spring begins to take hold.